I have been running in Skechers Performance Division shoes for about 18months. For long runs/ultras ( including 24 hour races) I prefer the Gorun ride; for speedwork and races up to marathon I like the Gorun2 as they are very light. For other training runs I switch between these two models. 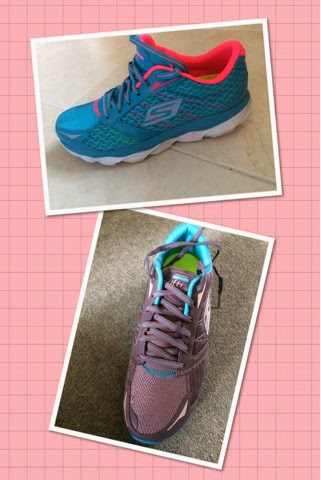 On Monday I received two pairs of the new Gorun ultra http://www.skechers.co.uk/style/13915/skechers-gorun-ultra/tlpk which has 65% more cushioning than the Gorun ride but the size 7 is only 25g heavier weighing in at 240g so still very light. I have used the shoes for all my runs this week except my speed session so have covered over 90 miles in them including a 40 mile long run yesterday. The material of the upper is really soft. 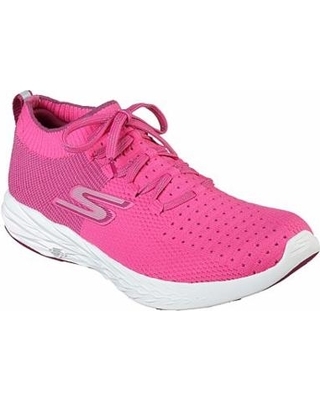 I walked around the house in them feeling very tall as they have more height than my other shoes; they have a wide toe box like most the other skechers models. Size wise they are marginally bigger than my size 7 Gorun ride but not so much bigger I would go down a size. For the first mile of my run they felt quite strange - I am not used to so much cushioning; they were very bouncy - I felt as if I was being propelled forwards which was quite nice. I soon got used to them and my run was faster than normal. Over the course of this week I have been using the shoes on my steady runs and at the gym. Although they are only 25g heavier than the Gorun ride I can tell I have a lot more shoe on my foot - from the picture below you can see the shoe is bigger. (teal is the ultra) I must have become lazy as quite a few times I nearly tripped over due to not picking my feet up enough! The shoes feel a lot more sturdy than the lighter models and have more support. Due to the cushioning, which although only 25g feels a lot more, I don't feel pebbles/twigs etc when I run over them like I would in lighter models. 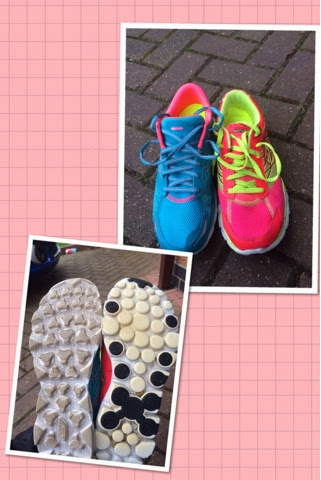 The sole is quite different to the Gorun2 as it is designed to used as both a road and off road shoe. I don't do much off road running and even less in the winter so can't comment on how grippy they are although from looking at them I would think they would be ideal for canal type paths and off road when conditions are mostly dry but where some extra grip is needed in a few places. For more serious off road I would use my Gobionic ride. Yesterday I used the shoes for my 40mile training run. They were very comfortable and I didn't get blisters, I deliberately didn't put plasters on spots I sometimes get blisters as I wanted to give them a proper test. My legs were a bit tired before I started (taking longer than expected to recover from a race last week then did a speed session too soon!) so I can't really compare the state of my legs after. The extra cushioning should mean that my legs are saved a bit from all the pounding. Overall verdict is that they are a nice shoe and have a place in my collection but I like the Gorun ride better. This is my personal preference as I prefer lighter shoes with less support. If you want a decent amount of support/cushioning but also a reasonably light shoe then I think you will like these shoes. These may be my next 24 hour shoe, I am undecided and will need to do more longer runs in them when I don't start with tired legs. 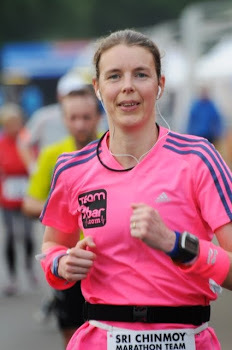 I prefer running in the Gorun ride but if the ultra means my legs do not get so tired then the trade off may be worth it. 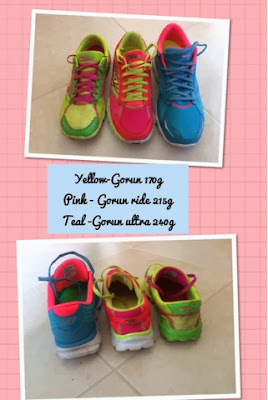 I think that because the Gorun ride is such a great all round shoe it is very hard to find anything better! 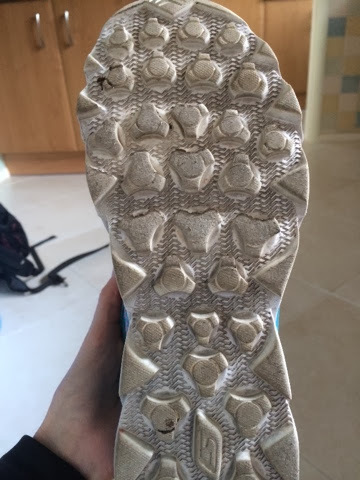 The picture below shows the sole after 95 miles - a little wear on some of the middle lugs but no more than I would expect. 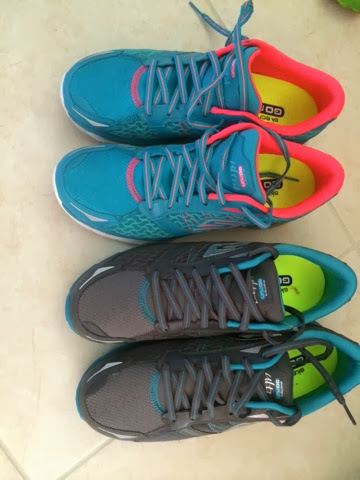 Compared to shoes I used to run in - Kswiss blade light, asics cumulus, mizuno waver rider - I prefer the go run ultra as they are more flexible and comfortable as well as having more cushioning but without the extra weight - they are the same weight at the blade light but lighter than the asics/mizuno. - mixed terrain runs where there is a lot of tarmac meaning trail shoes are not necessarily the best option. - multi day marathons or back to back long runs so that my legs are less fatigued at the end of day 1 meaning they are less tired in day 2. Helen, thanks so much for answering my question posted in "Skechers Gorunride3 Review", but then I saw this one, about the Go Ru Ultra. I LOVE shoes that are extremely cushioned and high, I used to wear Shape Ups from Skechers as well, and those were 4+cm high, I have no stability issues at all. These Ultra that you are reviewing seem perfect for my taste. However... I know there's no rubber at all in the outsole, only foam, a rigid one, the resagrip, but foam after all. I see the outsole of your shoes and it looks pretty OK, but that was many months ago. After more run mileage, how is the outsole's durabilIty doing? I'm not planning on using them for running, just for long walks and at the gym, I was a little worried about that but you said you used them there. Many people tell me they are too high to be used at the gym, that my ankles would be at risk. I hope you can comment on all these things, THANKS so much for you time!! Carolina.